Welcome to the third installment of Oscar punny recipes for the month of February! 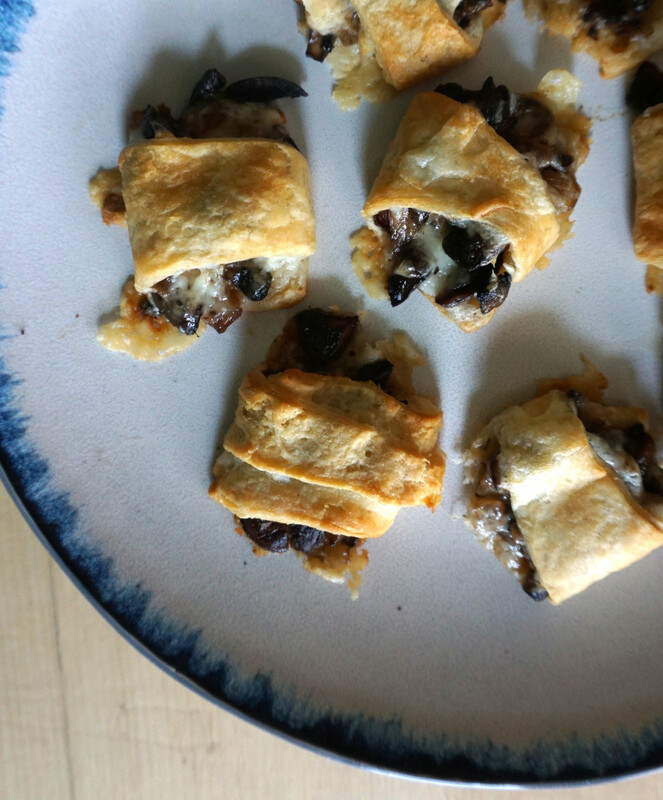 Today’s recipe is inspired by the movie Bridge of Spies and features mini mushroom hand pies perfect for party appetizers. 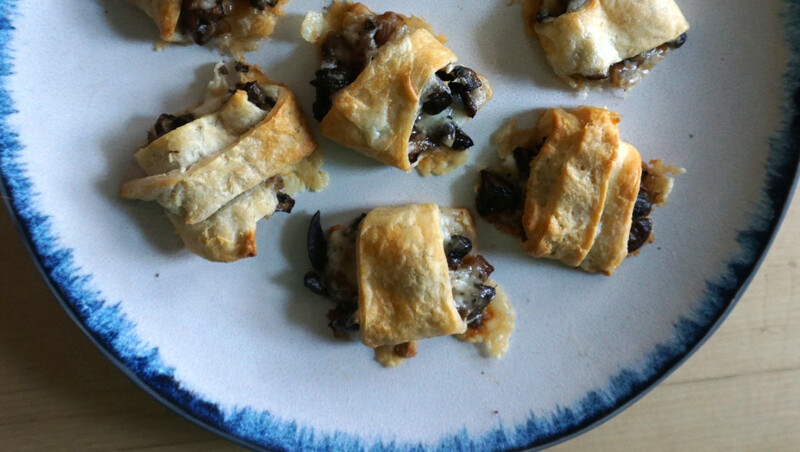 This recipe is made very easy thanks to crescent roll dough. Are these really pies? Probably not, but they’re pie-ish, right?? Maybe someday I’ll attempt actual miniature pies, but these seem much more attainable as an appetizer. And I like attainable! 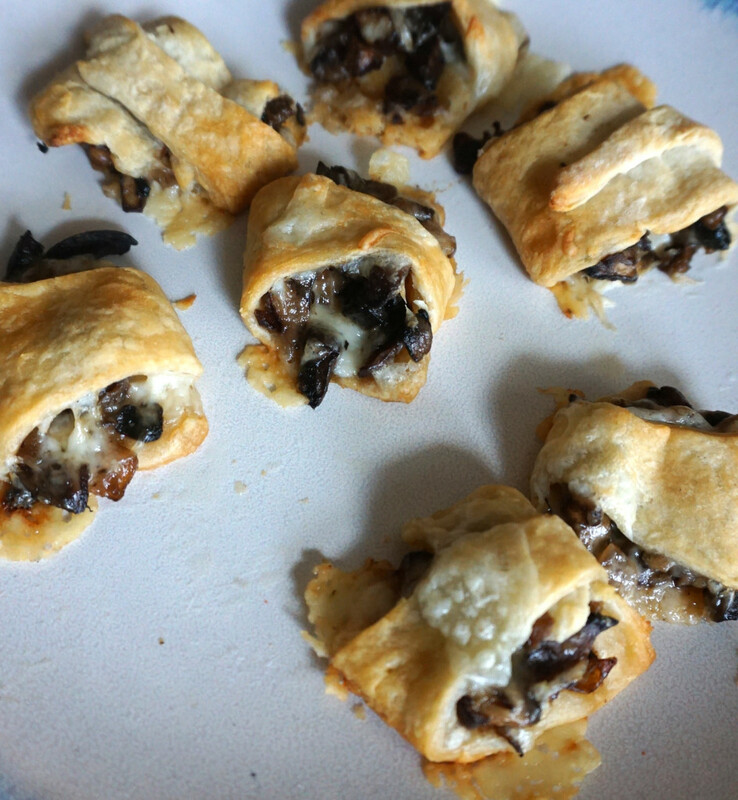 I used one of my favorite food combinations for this recipe: caramelized onions, mushrooms, and cheese(I used Havarti). With the meaty mushrooms you won’t even notice that these are vegetarian. You could absolutely use other combinations of ingredients according to your own preferences – the crescent rolls make this a pretty foolproof situation. I made this recipe several times trying to figure out the best way to make it a party food. The first time I made it with puff pastry and they were good, but WAY too big. Then I tried with the crescent roll triangles and the size was a bit more manageable, but not really party appetizer size (I included pictures of these too as I thought some might prefer this size). Finally I cut the triangles in half and got the party size I was looking for – third time is a charm! Preheat oven to 350 or whatever the crescent roll package indicates. Heat butter in saute pan at med high heat. Once butter is hot add chopped onions. Cook for 5-10 min until onions are slightly browned, but not burnt. Add a little water to the pan if the onions start burning. Add the mushrooms, salt, and garlic powder and sauté for about 5 minutes until tender. Remove onion and mushroom mixture from pan and set aside in a medium bowl. Unroll crescent rolls and slice the triangles in half the long way. You may need to roll them a bit to get them a little bigger. 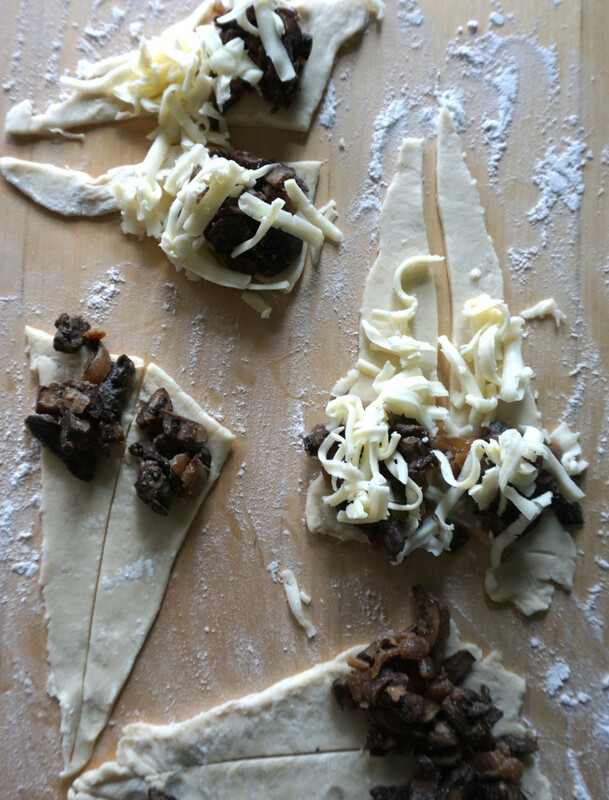 Place about a tablespoon of the mushroom/onion mixture onto the larger end of the crescent roll. Roll up tucking as much of the mixture into the roll as possible. 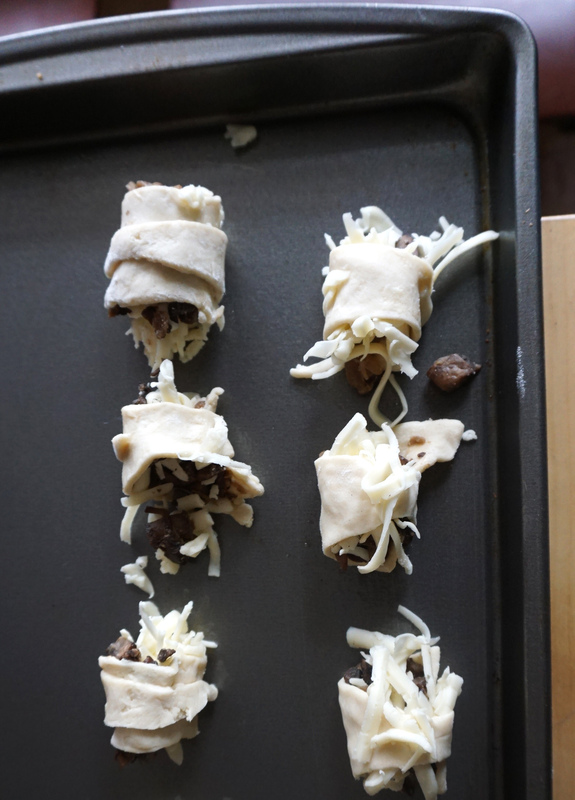 Spray cookie sheet with cooking spray and put rolls on cookie sheet. Cook according to package directions.